After recently scooping the club Player of the Month award, Marcus Rashford has now gone one better. Today, the 21-year-old was named the Premier League Player of the Month, with Manchester United taking to Twitter to confirm the news with a photo earlier today. 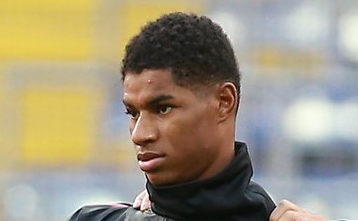 Rashford is loving life as the central striker in the United attack. He’s been given a new lease of life after spending the last couple of seasons being deployed as a left-winger. The whole club is reaping the rewards and I’m genuinely hard-pressed to find a better striker in the Premier League at the moment. Goals away at Tottenham Hotspur and Leicester City were massive. That’s six points we may look back on come the season’s end as the deciding factor as to why we finished in the top four. It’s all about confidence. Solskjaer has a belief in these players that the previous manager obviously didn’t have. He’s in the form of his life, playing with freedom, playing with energy, playing with commitment. Hopefully, these performances continues for a fair while yet because we’re all loving watching a homegrown talent flourish in the most difficult league in the world.